As you might know I love all things crafting and art and have for as long as I can remember. 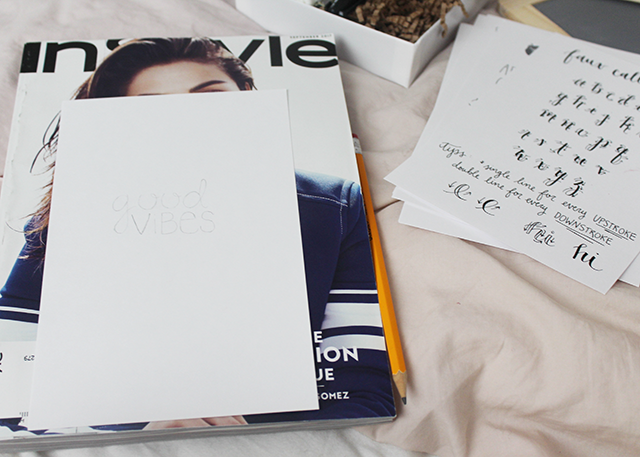 I feel like hand lettering, brush lettering, calligraphy, etc. has really made a big splash in recent years and it's always been something I've wanted to learn to do. So, when I learned about Wildflower Art Studio and they offered to send me one of their DIY Kits I was beyond excited! 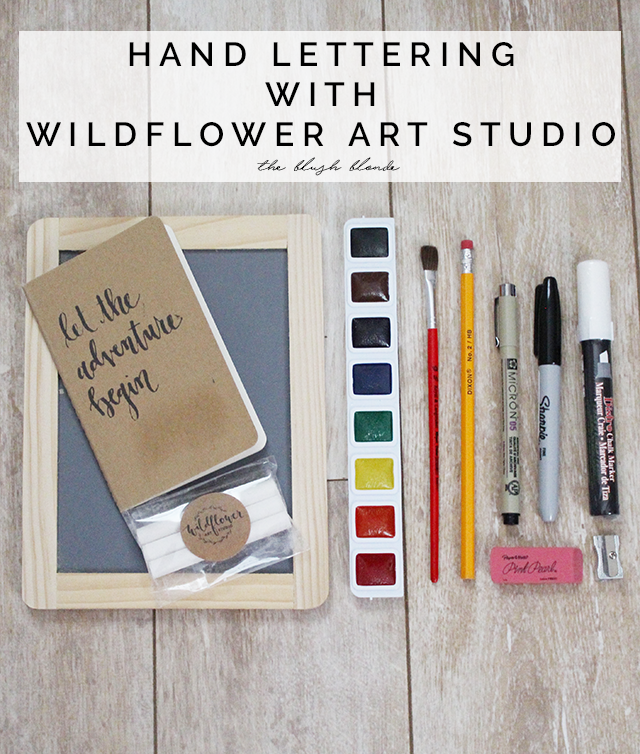 Wildflower Art Studio is a company that hosts both in person workshops and creates DIY Kits that can be shipped worldwide. Their mission is to "provide students with creative tools to embrace their own unique adventure" and they have "simplified the art of calligraphy, hand lettering and watercolor" to make it more accessible. 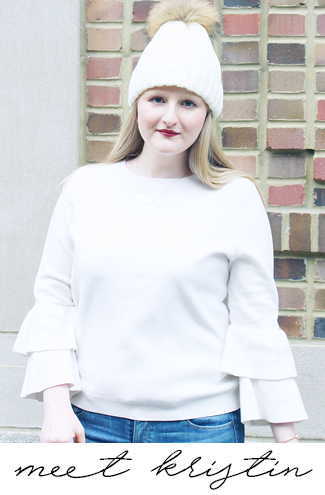 Their workshops can be found in Texas, across the United States, and even in Anthropologie stores. They strive to help their students create their own unique works of art with their kits and classes. They were so sweet in letting me pick out which kit I wanted to try so that I could create the artwork I wanted to. I have to be honest, this wasn't an easy decision as I would love to have all of their kits and learn all of the different things they teach. 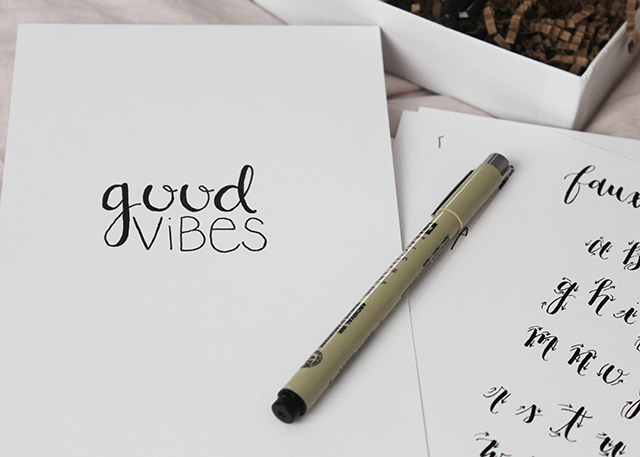 After taking my time thinking out which one I wanted though I decided on the Hand Lettering Kit. This kit includes everything you need to get started hand lettering - step by step instructions, four hand lettering practice alphabets, a notebook, multiple writing utensils, watercolors, chalk, a chalkboard, and more (see above image). The kit makes hand lettering super easy for beginners like me and it's so nice that you have everything you need in one place. I followed the instructions and spent a decent amount of time practicing my phrase before putting it on to the included cardstock to create my final project. I started out with a very simple phrase in order to make it a little easier on me this first time, but I can't wait to try a longer one for my next project. I also can't wait to make a piece for my room and I will be sure to show all of you on Instagram what I made so keep an eye out for it! 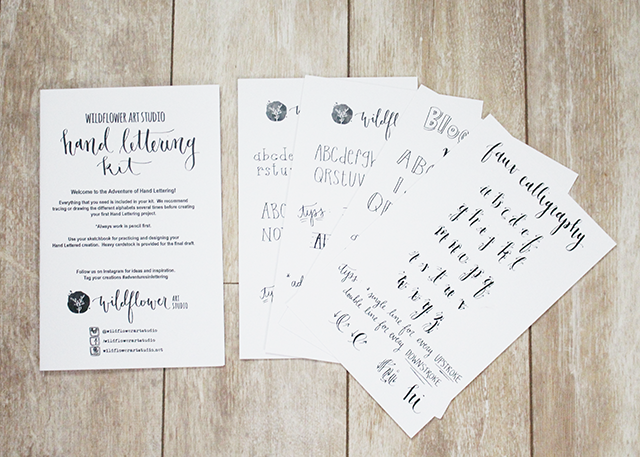 If you've ever wanted to learn to hand letter, brush letter, do calligraphy, or do watercolor then make sure to check out Wildflower Art Studio so you can get one of their kits! 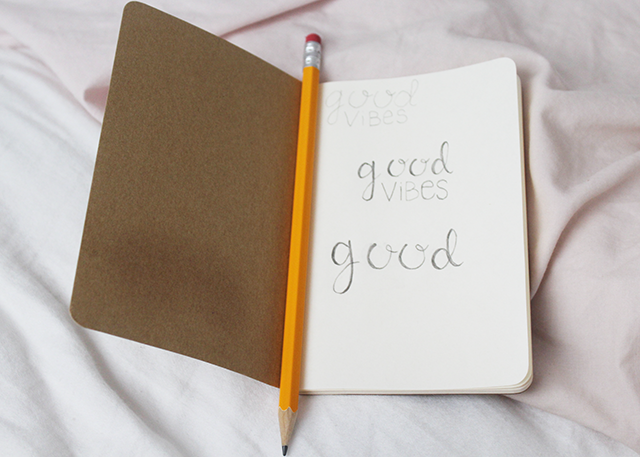 I already really want another one and now I just have to decide which one - I'm between brush lettering and watercolor at the moment and might just have to get both. Now I'm just left hoping that they'll have one of their workshops in New Jersey one day so I can attend! 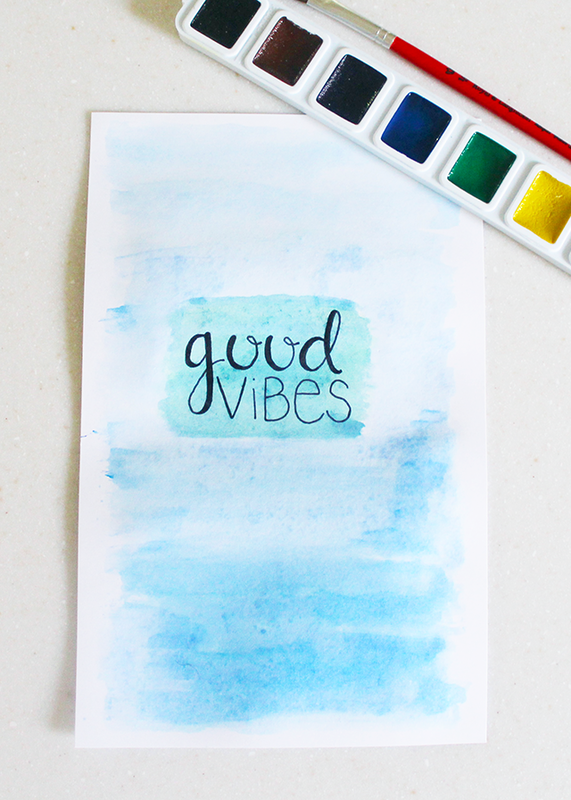 *I was given a Hand Lettering Kit by Wildflower Art Studio to facilitate my review, however opinions of this product are all my own.